I got involved in the election for Second Pride board because I wanted to help better the community. I didn’t get involved with the election or the board to benefit my own ego or reputation. I got involved to try to benefit the greater good. The election hurt the community. Sometimes I think it damaged the community beyond repair. To a point where its really hard to see a community but rather several cliques joined by a common thread. I have said in the past. There is a great deal to be proud of in this community. We all have our own little areas we usually gravitate towards. There is nothing really different about the SL community as compared to the RL community. The one thing that is different between SL and RL. In RL everyone comes together for at least a short period of time to “show off” us to the rest of the world, from Dykes on Bikes to the Sisters of Perpetual Indulgence and everything and everyone in between. Second Pride isn’t about any one club, any one group, any one clique. It isn’t about those who think they are the movers and shakers of Second Life. Its about all of us. In November 1969 a group of activists were meeting in Philadelphia and proposed that there be an annual reminder event to commemorate the demonstrations that took place on Christopher Street the summer before in and around the area of the Stonewall Inn. We propose that a demonstration be held annually on the last Saturday in June in New York City to commemorate the 1969 spontaneous demonstrations on Christopher Street and this demonstration be called CHRISTOPHER STREET LIBERATION DAY. No dress or age regulations shall be made for this demonstration.” From the wikipedia page. I included this quote and highlighted that we need to do good things for the community and the greater good. There are some hard working people involved with the board this year. Who I believe understand the concept of working for the greater good. But it becomes hard at times when feathers get ruffled and personal difference arise between individuals. That turn into LONG held grievances and and anger. I have been involved with Pride for almost 8 years. This will be my 8th festival I believe. Over the years my level of involvement has varied. But as I said this year I wanted to get involved because I saw a need to improve the direction that was being taken. The “Second Pride” board is made up of all volunteers. No one gets paid and I truly believe that they are all involved for furthering the greater good. We have all made a goal to reach out to folks or groups who participated in the past and to groups and individuals who have never participated in an attempt to strengthen the community. Its hard to please everyone all the time. The SL “community” is not homogenous just like the RL community isn’t. Its going to be hard to please everyone all the time. The board that was first elected appeared quite homogenous to start. This cause alot of anger to be hurled that it was going to become a bear group. (just rolled my eyes). Due to circumstances that have arisen, there has been a great deal of shuffling and new people come on board. This board right now is the most diverse group that I can remember every sitting together. With that said, we all have our own interests and contacts. so we have been actively trying to include “entertainers” that have worked with us in the past. Its good to expose membership to new things and new people. That is why the majority of the DJ’s at the Valentine event were people who had never played at a Pride event. A great opportunity for them to get some exposure. I get complaints in my IM box. It goes with the territory. I listen to what folks have to say. Try to sort out how to make things better. Usually I end the conversation with suggesting that they come by a Pride meeting. And thats where the complaint ends. And finally. I get it I really do. I understand people have issues with past members of the board. BUT I am not going to apologize for anything that individuals who were involved with the board in the past may have done. All I or any member of the current board can do is try to make things better moving forward. So to finish up – the invitation is there, come join us for a meeting. We would love to see you. Its time to buck up and move forward. If you have issues with members of previous boards. I suggest you take it up directly with them and don’t continue to blame the organization years after it happened. I want to thank you for taking the time to read this and consider me as a candidate for the position of Secretary/Co-Chair for Second Pride. This will be my final statement that I will be posting on the pride forums when the time comes. But being unsure of how many of you have gone there, I am posting it here as well. There are a few things I want to talk about as this “campaign” comes to an end. History – Since its inception Second Pride has enjoyed a rich and varied history. In the past the festival has been a culmination of long hard work by the entire community. its time to get back to that. In the past SP events have been held at various times around the grid by sponsoring sims/organizations as a joint effort with Pride. This gives both groups a chance to show off. Its time to get back to that. There has been space given in the past to showcase the varied visual artists within our community. Its time we get back to that. In the past there has been space available for displaying the AIDS/HIV quilt, its time we get back to that. I understand its so large now that it could require a whole full sim to display completely. I would propose that we designate a spot at the Pride sim as a permanent location to display sections of the quilt that could be rotated in on a regular basis. Its important to remember from where we came in this bold move forward. Our LGBT predecessors worked hard for alot of rights that we are now beginning to enjoy. Its important to remember that and honor that. Community – I have said in the past that OUR greater community is made up of smaller closer knit groups that are often insular in nature and rarely venture into the realms of other groups. I can respect and appreciate that. But we as a whole have to recognize that for the greater community to flourish we need to be able to come together periodically for open and frank discussions and events. Moving Forward – We as a community won’t always agree on how anything should be accomplished. But moving forward we need to be open and frank in our discussions. Take ownership of our comments and ideas. Hiding behind nameless faceless comments on some hate blog isn’t productive and only leads to divisiveness. The board needs to have open and frank discussions with various groups within the community as a whole (the lesbians, the elves, the furries, and the GA) to help foster a better relationship and try to bring everyone back to the table. Teamwork – this does not mean that anyone has to agree 100% of the time with what the team does. But for me it does mean that if you choose to be part of a team then you should participate to the best of your ability. Being part of a team means you can express reservations about ideas/plans. Fundraising – we need to have fundraising kiosks out all year long. A good way to increase buzz about Pride would be to do a fundraising challenge. Sims/groups/clubs and individuals could form teams. The higher amounts that a registered “team” raises gives them higher rewards, such as a bigger display spot at the festival, or a more prime time slot for dance or some other event of their choosing during the festival. Just a thought. Events/Event Planning – The area needs a great deal of attention. This is a good area to work on the diversity and inclusion of all groups. I feel that we should have at least a minimum an event every 8 weeks and they should be spread out among the different communities, allowing them to show off as well. In RL I have worked as an events planner and understand the complexities of it, but also know that buzz is important. And for events we need to get past the idea that everything needs to happen between 4PM and 10PM SL. We have a significant portion of the community in the Pacific Rim and Asia as well. Representation/Diversity – I believe that all groups should feel represented by the board. Every member of the greater community should feel that they could bring issues and concerns to the board and recieve due attention. The past few years has seen the board gain a representation as being only for the men. The way to fix this is have the community relations person reach out to all the major groups spend time with them, learn their concerns, bring them to the board, foster relationships that have been bruised and broken. Diversity isn’t gained by having a woman, a furry , a gorean, or a bear on the board just as a token. The board needs to have strong leaders who can reach out to the entire community. The board needs to reach out and nurture participation among the varied groups. Customer Service – The members of the board are there to represent you. In that the board members should be respectful and courteous to the public that they represent. This holds true for the community as well. Some level or courtesy and respect will get you along way in life. Marginalization– every member of our community is a valuable asset whether you agree with them or not. Not always agreeing is how communities grow. I will not stand for marginilzation of anyone through the use of blind hate blogs, spewing random comments that are unsubstantiated. They have no value to the community as a whole and truly only serve as a sideshow. Moving forward we shouldn’t feed the trolls, even if they are part of the community or claim to be. Thank you for reading. This upcoming year for the Pride Committee is an important year. I encourage everyone to vote. Vote with your conscious and with an understanding of who you are voting for. If you are reading this on my blog, if you are not registered to vote, you will need to register on the Second Pride website, information at this link. And you also need to be a member of the Second Pride Festival group. I have never learned how to paste those nifty links that will take you to the join page. But if you look in my profile you can find the group there and link to it that way. DJ Ralphy fills in for 10AM DJ and draws a hot crowd. Hard to pick a favorite of anyone so here’s the whole bunch. Baz a notorious possible spitter. Cat Blues in a stunning body suit. I have done a wrong that I need to apologize for publicly. Yesterday when I heard about “That FB page” I jumped at mikedacook Dinzeo without looking at at more carefully. I don’t always agree with mmmmmIIIIIIKKKKKIIIIEEEE but I do respect him and that he does stand up publicly for what he believes in. So again, mike – sorry for jumping and drawing conclusions. The time is drawing near for the annual Second Pride Festival to be upon us. 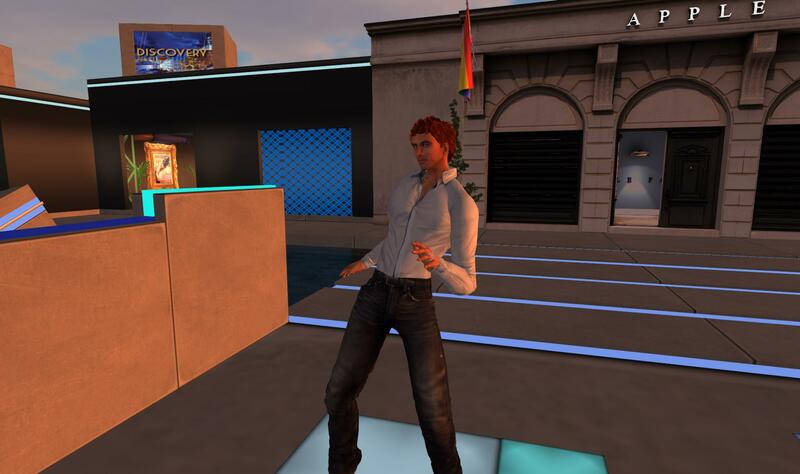 This fun/entertaining and educational event showcases many talents within the entire LGBT community in SL. The event will be held June 14th through June 23rd. For more information please check the Second Pride Festival Website. There is a 24 hour DJ-athon beginning today at 10AM at SPURT. But now to the point of my post. Remember we (the LGBT residents) are a community made up of many smaller groups and cliques. No one group can or should claim ownership of the community. We as a community need to pull together and step out of our insular sub-groups and advance the greater cause, to promote equality, acceptance and diversity. 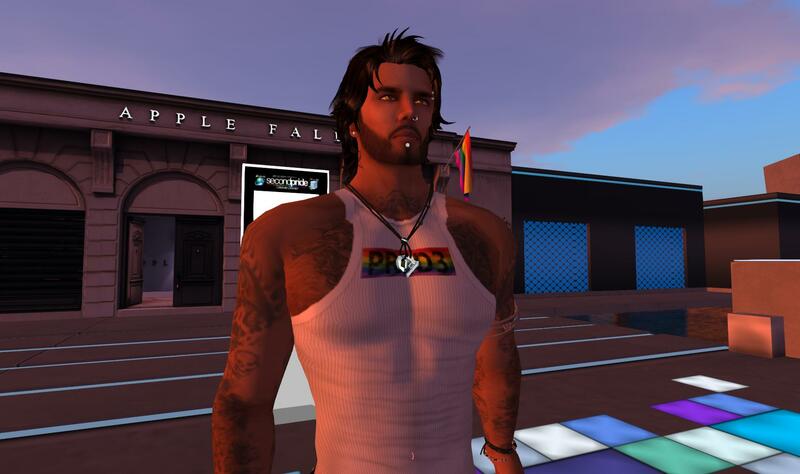 Every year just before the pride festival there seems to be a great deal of drama and bickering from within the community, usually coming from small isolated insular groups. There is more to being a LGBT resident in SL than hanging out at clubs or shopping or dishing/backstabbing people who are not like you. Diversity is one of the key strong points of OUR community. We need to learn to embrace and appreciate ourselves just as much as we want the rest of the world to embrace and appreciate us. From Wikipedia – The term community has two distinct commutative meanings: 1) Community can refer to a usually small, social unit of any size that shares common values. The term can also refer to the national community or international community, and 2) in biology, a community is a group of interacting living organisms sharing a populated environment. So to all of you out there who are moaning and complaining about “Pride” or the organizers/officers not being part of your community, its time to step up and and join the rest of the greater community and join the board, run for office be a positive component of the move forward.